Just as urban bee-keeping gets trendy, London yields are reported to be at their lowest. So what can be done give our city-dwelling bee populations a much-needed boost? As a group of young women sip their tea and nibble at the mille-feuille and the finger sandwiches in the St. Ermin’s Hotel Library, the low autumn sun glints on the silverware. In the middle of the table is an open jar of golden honey, the spoon slowly sinking back into the gooey nectar. THE discovery of Asian bees at Port Kembla has prompted a warning for people to be on the lookout. THE identification of Asian honey bees at a port in Kurnell is a timely reminder to the community to be on the lookout for this potentially devastating pest. Department of Primary Industries (DPI) Technical Specialist Bees, Dr Doug Somerville, said the bees were found on a bulk carrier and have now been destroyed by Commonwealth biosecurity officials. 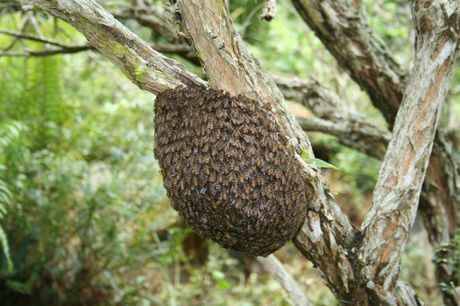 “The Asian honey bee poses a significant risk to the State’s apiarists and bee industry,” Dr Somerville said. Thousands of Asian honey bees carrying the devastating Varroa Mite have been discovered on a foreign ship berthed in Sydney. The Varroa Mite is a tiny parasite which attacks bees and eventually destroys their hives. While Australia is considered free of the Varroa Mite there are fears that a breakdown in quarantine procedures could lead to the devastation of the local bee population and cause tens of millions of dollars damage to agriculture. At the recent Federation of Irish Bee-Keepers Association annual summer course in Gormanston a meeting was held which included beekeepers from the whole of Ireland who had at heart the future welfare of the native Irish honeybee. At a subsequent meeting it was decided to establish, as soon as possible, an all Ireland society that would serve as an umbrella organisation for groups and individual beekeepers who are interested in the preservation and improvement of the various Irish strains of native honeybees. 2777 South Crystal Drive, One Potomac Yards (South Building) 1st Floor. Those who can’t attend in person can call in at 1-866-299-3188 then70.330.55561. Status of Pollinator Protection Issues Policy Development. Amy Toth, assistant professor in Iowa State’s ecology, evolution and organismal biology department, was awarded an Agriculture and Food Research Initiative grant by the U.S. Department of Agriculture to explore the importance of nutritional stress and viruses on honeybee health. She is working with researchers Allen Miller and Jimena Carillo-Tripp in the plant pathology and microbiology department and Bryony Bonning in the entomology department. BEEKEEPERS are the front line for biosecurity, when it comes to protecting the honey industry and all the food crops that depend on bees for pollination. 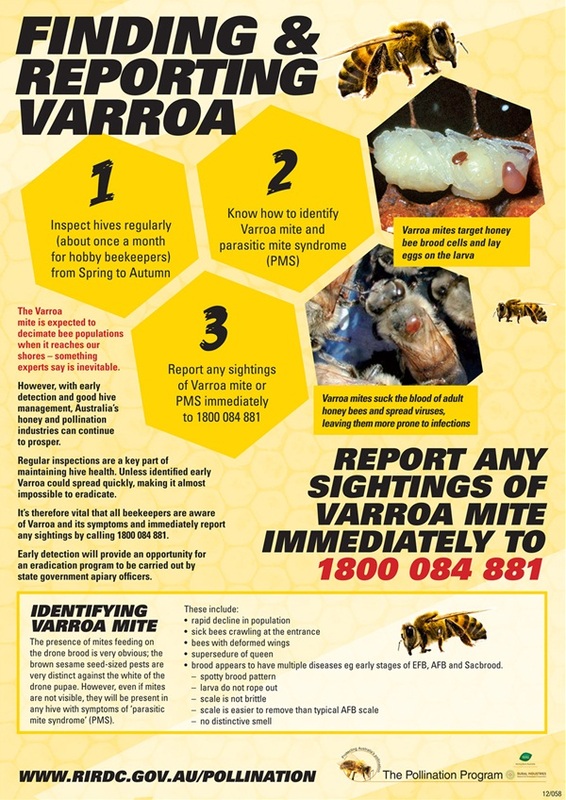 To help them identify one of the greatest threats, the Varroa mite, a poster has been sent to all registered beekeepers across the country in a mailout which also contains a manual on how best to look after the health of their hives. Chairman of the Pollination Program R&D Advisory Committee, Gerald Martin, says it’s vital to identify and report Varroa mite immediately, as it has the potential to devastate the industry. Bees fight back killer mites, and win! Editor’s Note: For more on this story, including the complete articles, please see Review of Bee Health Decline IPD here. PURDUE (US) — Honeybees are developing defenses to outsmart and destroy varroa mites, which can wipe out entire bee colonies. Researchers are searching for the genes that enable those defenses and say they’ve narrowed the possibilities considerably.